The Kotzins are the U.S. relatives who sent Leo money in Switzerland, signed affidavits so that he could come to the United States, and took him in once he was in the U.S. 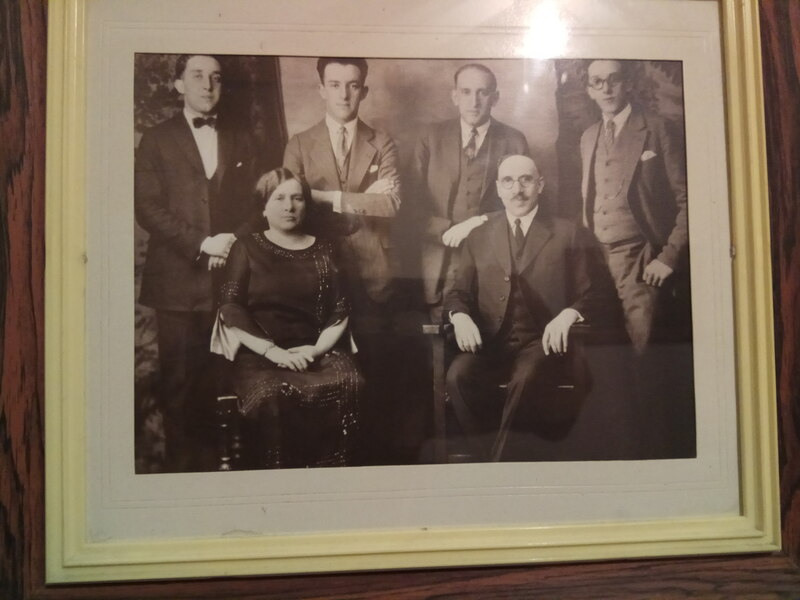 In 1940, the adult members of the Kotzin family in the United States included Helen and her four sons: Adek (Abraham, not to be confused with Leo’s father, who was also Adek), Bernard, Sol and Ted. Adek Kotzin seems to have taken a particularly active role in facilitating Leo’s emigration. Sol Kotzin and his wife Ann were the parents of Michael and Morissa. Bernard and Rose were the parents of Aviva and Deena. 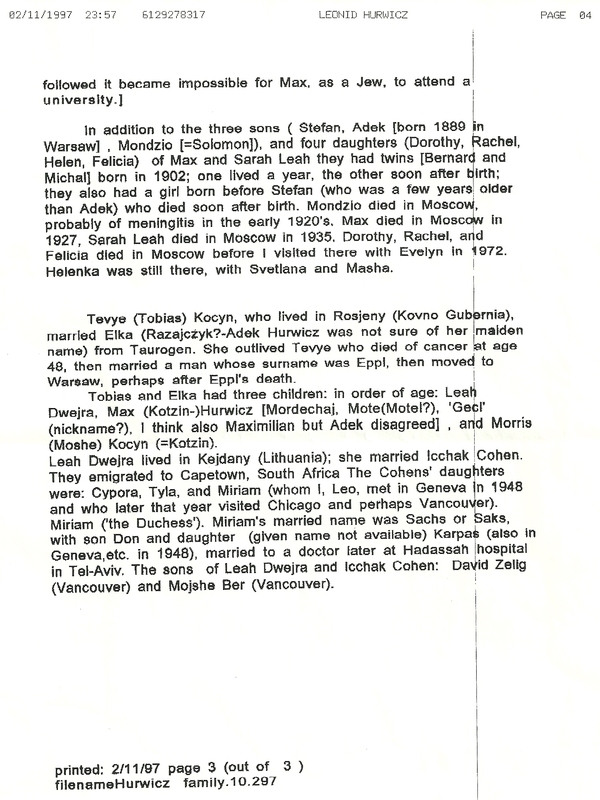 Adek and Leah were the parents of Rhoda, Moshe and Leib. Ted never married. 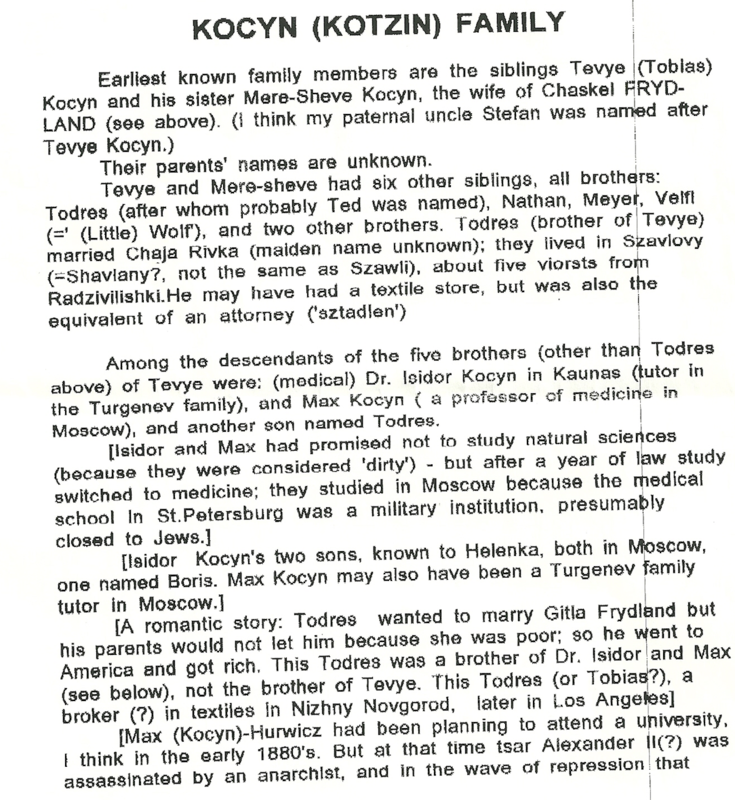 Here’s what I know about the Kotzins, who I believe are the branch from Moritz … [T]hey too are responsible for our family being in North America as my aunt Bernice (my father’s oldest sister, her nickname was Broncha) came to visit them in Canada (Edmonton Alberta – I believe) …; she lived with her cousin Ted Kotzin – neither married for their whole lives, first in Canada but for the most part in Chicago. Sol Kotzin said that Ted came to Canada around the end of 1919, so perhaps Bernice arrived about the same time.